I just finished a book my sister Suzanne gave to me " A WALK FOR SUNSHINE by Jeff Alt. It was a fascinating book for me to read because it was a true story oof the author Jeff Alt walking the whole Appalachian Trail from Georgia to Mt. 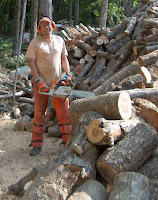 Kathadin in Maine, a 2160 mile journey. He hiked it for charity for Sunshine Homes where his brother Aaron was living. Aaron was born with cerebral palsy and intellectual problems. Also, I found it interesting because my sister and her teenagers started hiking it, too, in Shenandoah National Park quite a few years ago. We continued the following year, too, with our brother and our Washington State sister and her husband as well as nephews. We also in later years hiked it a little further north as we were heading for New England. Would I like to hike parts of it again? I'd like to, but I know I'm getting too old to hike very far on that trail. I do my hiking closer to home in my woods or a trail that is a few miles from where I live. Do you think you'd like to hike the Appalachian Trail? Do you hike much on any trail? I nudged Stephanie. “Look, that’s Freemont.” I pointed with my head in their direction. “Agreed.” Freemont, with his fancy suit and manicured nails, looked out of place at the plain red-brick church. The contrast of his immaculate clothes and fastidiously groomed hair looked phony when viewed in the context of the simple elegance and honesty of the small country church. I couldn’t imagine Freemont eating fried chicken. Two weeks ago, I interviewed an author whose book also had a cute dog pictured on its cover. This week—puppies! Maybe it’s the weather and I want at least a two-dog night, but my decision to download the book wasn’t only based on the cover. 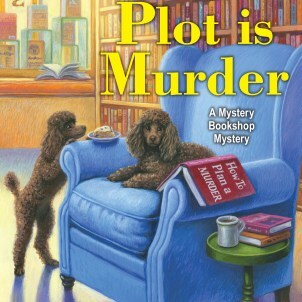 After researching author V. M. Burns, I knew the writing had to be good because of her 2017 Agatha nomination for The Plot Is Murder, her first book in the Mystery Bookshop series. The Puppy Who Knew Too Much is the second book in the Dog Club Mystery series. She also authors the Detective RJ Franklin series. If you read the above quote, you understand that the author’s forte is writing descriptions that transform characters into three-dimensions. That makes for good reading. The characters are distinguishable, no mental groping trying to identify a character, and there are two major, five secondary, and eight walk-on (periodic appearances) characters in this book. Was the title catchy but unrelated to the plot? 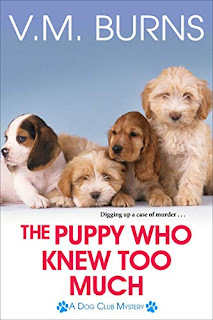 Nope, the major characters based the truth and integrity of potential dog owners on a puppy’s reaction and decision. Puppies know and don’t lie! This is a fun, cozy series I found delightful. Please welcome V. M. Burns to WWK. You live in Chattanooga, Tennessee and set the book there. Lilly’s bestie, Dixie, lives on a nearby mountaintop, but there’s also a river that runs through Chattanooga. Are there dramatic changes in altitude around the city? Did you include real venues in the city or base them on real places? Altitude isn’t really a problem in the normal sense, not like in places like Denver. 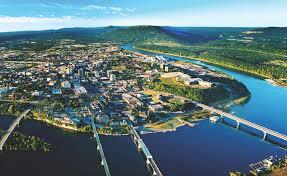 Chattanooga is surrounded by the Appalachian Mountains and the Cumberland Ridge. 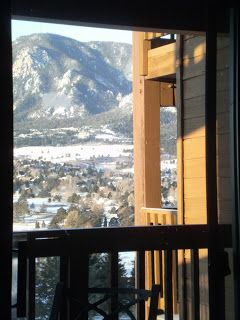 My biggest problem with altitude comes in the fact that I didn’t realize I had a problem with heights until I moved here. I’m originally from Indiana, which is flat. When I moved here, I was amazed at how steep and narrow the roads are leading up into the mountains. So, the anxiety Lilly has about driving up Lookout Mountain to visit Dixie is real. The restaurants and venues in the book are based on real places, although I’ve changed the names. Locals will recognize that Lilly’s favorite coffee shop, Da Vinci’s, bears a striking resemblance to a local Chattanooga coffee shop called, Rembrandt’s. Rarely do I use the actual names of venues in any of my books. After all, I do write murder mysteries. Set in December, the temperature is mild at sixty-seven degrees. Is this typical or does Chattanooga have its share of snow? The normal temperature in the winter is mid to upper fifties, but we recently had upper sixties and low seventies right after Christmas. It was wonderful. It does snow (occasionally) in Chattanooga. When it does, there is a rush at the grocery store to buy bread and milk. Most businesses and schools close and they wait until the snow melts, which is a good thing because few residents have mastered the skill of driving on snow and ice. When I first moved to Tennessee, I drove through a blizzard in Northwestern Indiana which was harrowing (even for someone accustomed to driving in snow). I was pleasantly surprised to arrive to temps in the mid-sixties. Mild winters are one of the things I love most about the area. Agatha or Aggie, Lilly’s toy poodle, is about two-years-old and having behavior problems. Is Aggie’s behavior due to youth or other factors? How old can a dog be and still be a puppy? Does it vary by breed? Aggie’s behavior problems are due to a lack of training. 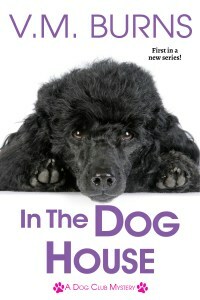 In the first book in the series, In The Dog House, Dixie mentions that Aggie was rescued from a puppy mill. Often dogs at puppy mills spend their entire lives in cages and are used purely for breeding. These dogs receive no training or socialization. Dogs need to be trained so they know what is expected of them. Dogs and humans can live together happily once boundaries are set and the dog is trained to know what is expected. Most puppies are considered adults around twelve months. However, different breeds will mature at different times. I have also noticed that my male dog matured slower than my female dog. Age, training, and temperament are all important factors in behavior. Poodles are very smart dogs and need stimulation or they can get into trouble. Lilly needs to learn how to keep Aggie stimulated, and Aggie needs to learn what she should and shouldn’t do. When the perfect rental house appears too miraculously for Lilly, she doesn’t suspect the nefarious consequences. Is this magical thinking or not looking a gift-horse in the mouth? Honestly, I think this is the consequences of being stuck in a hotel room with an energetic dog for far too long. I believe Lilly is anxious to get to a place of normalcy where she has her books, her clothes and space for her and Aggie. So, when the rental house falls into her lap, she jumps on it. Lilly is a CPA, but she hasn’t worked in her profession for over twenty years. I was surprised how easily she adapted to working at the museum, especially given the financial problems caused by the former incompetent financial director. Is she a whiz kid? You’re right. There have been a lot of changes in the accounting field in the past twenty-five years. However, Lilly kept her CPA license. CPAs, like doctors and lawyers are required to take a certain number of continuing education units (CEU) each year to stay current in their field and to keep their license. The exact number of CEUs needed varies by state. Lilly hasn’t worked outside her home, but at one time she did the accounting for her husband, Albert’s, car business. Dixie is a lovely, best-friend character. She doesn’t have children, but she has two award-winning standard poodles, whom she ferried around the country to shows prior to their retirement. Are many show-dog people childless, transferring their time, affection, and money from empty-nest to dogs? That’s an interesting theory. I don’t think I’ve seen any studies on this. However, I can say that competing at dog shows can be expensive and very time consuming. When people with families compete, they often involve the entire family in the process. Why are German Shepard Dogs also called Alsatians? The German Shepherd Dog originated in Germany and was referred to as the “Deutscher Schaferhund,” which translated in English to German Shepherd Dog. During World War I, the Allied countries didn’t want anything to do with anything that had “German” in its name. Dog enthusiast believed keeping the name might make people view the breed negatively. In 1917, the American Kennel Club changed the breed name to the “Shepherd Dog.” The British and some European countries referred to the breed as “Alsatians,” which refers to the Alsace-Lorraine region of France which borders Germany. The breed name wasn’t changed back to German Shepherd Dog until 1977. Some characters in your book seemed shallow, basing their judgments of people on the cars they drove. But people do judge on appearances. Is this the reason for Lilly agreeing to Dixie’s proposal—getting a makeover at the salon or does she just feel like she deserves it after all she’s been through—divorce ending with widowhood, which occurred in the first book in the series, In The Dog House? In the first book of the series, In The Dog House, Lilly’s daughter, Stephanie, talks about how much her mother sacrificed for her husband and her family over the years. After that, Lilly meets a wise woman, Miss Florrie, on a train. That’s when she decides to stop hanging onto the past and to find her “happy place.” Lilly’s makeover is intended as part of her “fresh start” and a boost to her confidence. After all, she’s been through a lot. I lived in a neighborhood whose HOA president inspected houses as she walked her cat in a baby carriage around the streets. Does every neighborhood have at least one legalistic, weirdo, judgmental, complaining, bombastic resident? LOL – I think it’s a requirement. When Lilly finds two bodies, the local detective acts like she’s his most likely suspect. She’s lucky her daughter, Stephanie, is a lawyer. Stephanie’s boyfriend is a detective, but not a local. Together, they deter the police. But Lilly is very proactive about her defense. Why? In the first book, Lilly was a victim. Her husband didn’t appreciate her, and she was trying to hang onto someone who didn’t respect her. She lived in a subdivision she didn’t like. She lived in a house that was very similar to all of the other houses because that’s what her husband wanted. She didn’t get a dog because her husband hadn’t wanted a dog. She quit working as a CPA because Albert wanted her to stay home. Lilly is evolving in this second book. She got her dog. She sold the house. She moved to Chattanooga. She is much more independent. However, I think her ordeal hurt her confidence and she is nervous about jumping into another relationship. Over the course of the series, I think readers will notice that Lilly gains self-confidence and takes more responsibility for her happiness. Pica behavior in dogs is basically when a dog continues to eats something it shouldn’t. My cousin had a lab who used to eat socks and washcloths. Every sock had to be accounted for or Tilly would gobble it down. They spent a great deal of money on training and deterrents. However, constant vigilance was the only way they were able to prevent her from eating socks or other small pieces of fabric. Although Dixie is mindful of dog diets, she proposes Lilly use hot dogs and string cheese, not particularly healthful fare, as training motivators. Why? Many dogs are motivated by food. When training a dog, you often get great results when using an extra special treat that the dog only gets at certain times. I used to have a poodle who got stressed out whenever I left for work and didn’t want to get in her crate. However, when she saw me get the string cheese, she would willingly get into her crate because she knew that was the only way she would get the cheese. Items like string cheese or hot dogs shouldn’t be given as regular food because they have salt and preservatives that dogs don’t need. However, in small amounts as a special treat, they can work wonders. There are also, nutritious training treats that can be used. Why do people in the south use their first and middle names like they’re one word, like MaryBeth or JohnRobert? That is a good question. I wish I knew. However, I have found it happens a lot. I first noticed this when I lived in Indiana and worked for a CPA firm. When the company I worked for acquired a smaller CPA firm in Tennessee, I had to train the new employees. I was given a list of attendees for my class, but I remember being really confused because I couldn’t find many of the people I was supposed to train in our system. When I asked about it, I found that all of the people I couldn’t locate went by a middle name. My CPA refused to audit the finances of volunteer organizations I was involved in. Yet Lilly gets drawn into two organizations to prepare them for audits. Is this an onerous job few CPAs volunteer to take? There are a number of differences between finances for not-for-profits and for-profits. I can think of a number of reasons a CPA wouldn’t want to get involved with a nonprofit. I don’t think anyone, including CPAs want to prepare for IRS audits. Lilly is trying to re-establish her work experience and make friends in her new city, so she is willing to take on jobs that others might reject. When a Tennessee Bureau of Investigation detective, Red, protects Lilly at the request of Stephanie’s boyfriend, she’s attracted to him but denies her attraction, at least at first. Why? I wanted to balance Lilly’s love life. She is still dealing with a lot of emotional turmoil from her husband’s infidelity. I felt it would be normal for her to struggle with confidence (hence the makeover suggestion). Albert might have been a dud, but he dumped her for a much younger woman. She hasn’t dated in decades and after such a long time, I think she might be reluctant about admitting an attraction in case she misread signals. How often do you clean out your pocketbook? You’re supposed to clean it out? What’s next for Lilly and Dixie? Things in the rental house haven’t worked out so well for Lilly. She really needs her own place. Lilly becomes involved in the dog club and works on Aggie’s training. The third book in the series, Bark If It’s Murder, will release later in 2019. Yes, I have two toy poodles. I have a 3-year-old black female toy poodle. Her name was “Lou” when I got her, but I named her after one of my publishers, “Kensington.” I call her “Kenzie.” She is my inspiration for Aggie. I also have a 16-year-old chocolate male toy poodle. His registered name is, “Show Me the Money,” I call him “Cash.” If you read my Mystery Bookshop Mystery Series, Cash is the basis for one of Samantha Washington’s dogs, Oreo. I used to have two chocolate toy poodles, but unfortunately, my female, Coco, died. She was the inspiration for “Snickers” in the Mystery Bookshop series. With three series, is it time to quit the full-time job? Interestingly, I just read an article that stated most writers have a full-time job. I suspect it’s because writing doesn’t provide a constant, reliable monthly income. I love writing and hope that I get the opportunity to do this for many years after I retire from my full-time job. Virginia Woolf will be remembered for many things, but for me, the essay “A Room of One’s Own” is her crowning glory. And while I know that Woolf is speaking of “room” in both its literal and metaphorical sense, I can’t help but breathe a “thank you” to Virginia every time I sit in my home office and begin writing. It’s not big, this room of my own, maybe twelve by twelve, one hundred and forty-four square feet. There’s a desk, and a loveseat, and a coffee table that belonged to my grandmother. There are old bookshelves that belonged to a great-uncle, plus file cabinets and wastebaskets and three original works of art that were gifts from people I love. I have rocks and crystals everywhere — baskets and bowls of gem clusters and river stones, citrine and calcite on the windowsill, a labradorite paperweight, a selenite crystal ball. 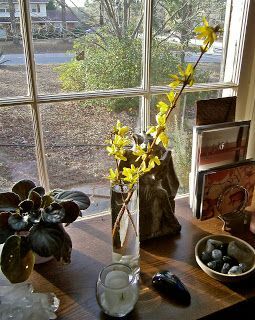 The desk sits right in front of the window overlooking my front yard. It’s an eastern view, so the rising sun illuminates my work area with hazy rose gold light. Right now, it’s on the cusp of spring here. The calamondin orange tree gives off a dizzying scent; the brown spent leaves fall from the live oak, making way for new growth. Soon the green will get brown-edged and crispy with the broil-and-bake temperatures that are coastal Georgia summers. But for now, all is moist and vernal and misty-gray in the morning. As you can probably tell, my room of my own has to be a room with a view. I recently read another author’s blog post on how much writing she got done in a boring room with nothing to distract her from her task. But I am not such a creature. I write best when my eyes have something to feast on while my brain chugs along (my brain itself requires caffeine, but that’s another story). One of my best writing afternoons was spent in Colorado Springs when I snuck away from the Left Coast Crime festivities and hunkered down in my room with hot chocolate on the nightstand and a dazzling snowscape through the balcony window. As a child of the South, I was stunned and delighted by all the white stuff, and found the creative engine stoked by a view I never get at home. At the other extreme, I found the desert sands of Scottsdale to be just as inspiring. I was there during a spell of rainy weather that had the temperature hovering in the low sixties instead of the predicted nineties, so I replaced my planned umbrella drink with yet another hot chocolate. Luckily, the desert has a gravitas and bigness that opens up new vistas in the imagination, regardless of temperature. 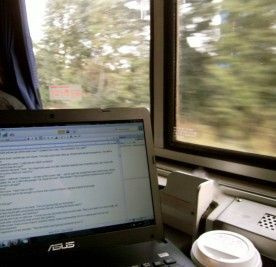 One of my most memorable writing rooms was mobile—the sleeper compartment on the Amtrak train from Savannah, Georgia to Albany, New York. I spent that 22-hour trip working with an ever-changing view, happily sequestered in a tiny, moveable space all to myself (and with a dining car two doors down – I cannot begin to tell you how much my productivity increases when someone else takes care of the cooking). I’m curious about the rooms of your own — what does your fantasy writing space look like? Care to share? This coming Monday is packing day; Tuesday they load the truck. We’re getting low on rations in the house. Wednesday night was our last “traditional” meal. Later meals become a feast of leftovers. No more grocery shopping unless it’s something vitally important. On Tuesday, Jan announced her grocery list: Wine and bread. Both met the vitally important criterium. I’m a news junkie. There was a time when my best ideas were ripped from the headlines and I subscribed to, and read, six newspapers. Four major market – The Washington Post, The LA Times, The Miami Herald, and The New York Times, and two local markets, The Fiddlehead Focus (Fort Kent, Maine) and The Keynoter (Key West, Florida). Then real news became stranger than fiction and nothing I wrote changed it. I’m down to two local markets and the NY Times. I’m still keeping track of stories that interest me. Most writers have a slush file of idea generating stories tucked away. Anything that arouses curiosity goes into it. Entire series of articles or just tidbits of details with notes scribbled in the margins or as comments in a digital file. One writer I know will only keep the idea if she can see a way to bring the story to a conclusion and have no loose ends. My slush file gave birth to this blog. I came across an article in the opinion section of the New York Times titled What Happens to Creativity as we Age? The conclusion was, it declines, mainly because as we age, we know more and we tend to ignore anything that contradicts what we already think. My mind filled with scores of writer interviews and blogs I’ve read that point to a desire to explore a question in depth as the inciting reason for writing a certain book, and I laughed out loud. And yes, writing does seem to encourage rather than discourage finding your voice later in life. The authors of this opinion piece are learned people. I cannot dispute their findings and, in many ways, I agree with them. Perhaps they have overlooked a key element in continuing creativity through the aging process: Curiosity. Writers are curious people. Aging coupled with curiosity can very well lead to the suggestion that grandpa could turn back time by not eating his vegetables. Readers and writers, are you more or less creative than you were ten years ago? The chance occurrence of events in a beneficial way. Example: We all have experienced the serendipity of important information arriving just when we were least expecting it. The pleasant, earthy smell after rain. Example: Although I do love the pleasant, dewy petrichor of the post-rain afternoon, I still hope the weather stays sunny. Lying face upwards Example: She was lying supine on the beach chair looking at the sky. A state of seclusion or isolation. Example: We enjoyed the beauty and solitude of the quiet beach more than ever. The dawn in the early morning. Example: The aurora over the skyline was too beautiful not to photograph. Like an idyll; extremely happy, peaceful, or picturesque. Example: The blossom growing in the courtyard created such an idyllic setting. Excessive desire to stay in bed. Example: I definitely have clinomania; I love sleeping, making mornings a struggle for me. A lover of rain; someone who finds joy and peace of mind during rainy days. Example: My sister is a real pluviophile; she really enjoys the weather in the rainy season. A feeling or state of intense excitement and happiness. Example: The euphoria of passing my final example is a feeling I will never forget. Of course, others might have a different list, J.R.R. Tolkien, author of "Lord of the Rings," is famously credited with being one of the first to hold up "Cellar Door" as one of the most beautiful sounding phrases in English. The British Council, whoever they are, surveyed more than 40,000 people in 102 non-English speaking countries about words that sounded nice, words that have positive meanings, or some combination of the two. Their final list was a fantastic, sophisticated hodgepodge, a loquacious rainbow paradox extravaganza a mother could cherish like a bubble pumpkin lollipop or the gorgeous hope for renaissance by a cozy butterfly, a cute bumblebee and a flabbergasted kangaroo at a hen night. I belong to two book clubs. The first one I joined was in the fall of 2006. It was a new book club started by Carol Baker, the local librarian and we met in a cafe with lunches and antiques and crafts for sale. It was called the Brew Basket. I think the first book picked was To Kill a Mocking bird, but I didn't keep a record then. Eventually, Carol couldn't be with us because government funding for the library was cut back. She still had another book club at the library where she worked. We met there every third Thursday for several years until the Brew Basket went out of business. Then we went to several other restaurants for awhile and finally ended up at Roby Lee's, a larger restaurant where we had more room and where we still meet at 11:00 a.m. the Third Thursday of each month except wen one of our members has us meeting up at her cottage on Lake Erie in July. Just one of the book shelves in my whole house. Then in December we meet at my house and each of our members comes with two or three books to pick from for the following year for January to November. The extra books are added to a list for anyone to read after they've read that month's book. We have a pot luck meal at my house, too. When we meet at Roby Lee's we discuss the book of the month and then some of us stay for lunch. Some order take-out, or some like me order the meal for takeout, but stay there to eat from the salad bar which is really good and includes soup, dessert and delicious small slices of white pizza. Carol Baker is retired now and has joined us again. The waitresses who take care of us always bring coffee or tea and fresh baked bread with butter to nibble on while we're discussing the book or talking about what has gone on in our lives since the last time we met. The other book club I joined was the Red Read Robin book club. It was started in February 2008 on the last Thursday of the month at 6:00 p.m. 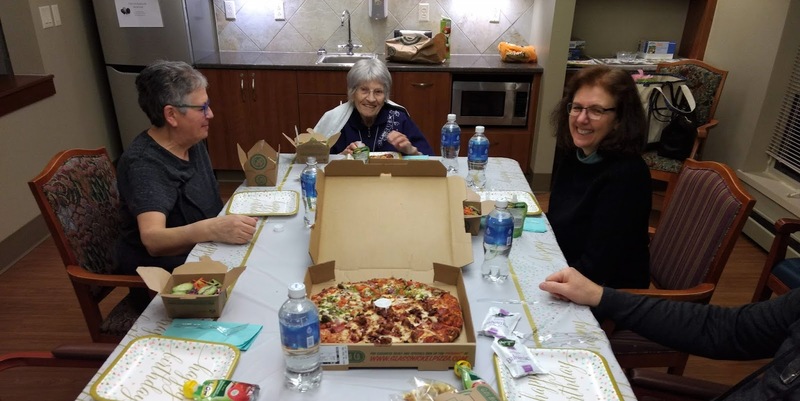 It's a larger book club with over half of the members related to each other and at least half of them go to the same Sunday Mass I go to and we sit together. With that one it's held in different member's homes or if they don't have room in their homes they choose a restaurant to meet in. If it's at someone's home they prepare and evening dinner for us. One of my friends who is a member has a small home and a husband with a disability so she always chooses a restaurant when it's her month to have the book club. This book club always serves wine with the meal, too. The first book chosen for that book club was also To Kill a Mockingbird. Only three members have dropped out not because they didn't like us, but because they were too busy like Erin, who is a teacher and has two little children. Her husband is also a teacher and both of them have lots of papers to grade. Two of our members live close to fifty miles away so don't come quite as often and when it's their turn to have book club they have it on Saturday afternoon so we don't have to come home after dark and we tend to car pool, too. Second, it's fun to be with fellow book lovers, who have become my friends over the years I've belonged to both book clubs. Third, I'm introduced to books I might never have heard of or particularly wanted to read. 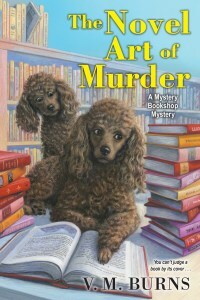 I'm a big mystery fan and read more mysteries than anything else, but it's good for everyone to read other books, too. There have only been a few over the years that I didn't like, but that is because the person who picked the book didn't bother to read it first, too. I often pick a good mystery or a book I'd read in the other book club and enjoyed. Today I will be at my Third Thursday's Book Club at Roby Lee's discussing the book Little Fires Everywhere, bu Celeste Ng. It's a book that will have a lot about it to discuss. If not, would you like to belong to one? Meanwhile, another local establishment finds itself in hot water. In exclusive Rabb’s Point, a strange burglary breaches the elegant home of Royal Parrish and then a body is discovered in the old Parish cemetery. When someone close to Allie falls under suspicion of murder, she decides to investigate but, before she can get to the bottom of the case, another alarm sounds: the Lazy Mermaid’s Lobzilla has gone missing and is on the loose! And bodies are beginning to pile up. . .
Descriptions like that place the reader inside the story and makes for fun reading, and they’re also one of the reasons I admire Shari Randall’s writing. Drawn and Buttered will be released this coming Tuesday, February 26th. It’s fun, it’s cozy, and the current mystery parallels a historical mystery, one element I always enjoy. 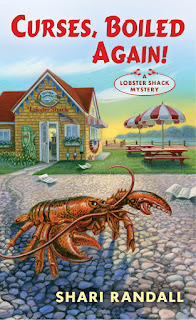 Congratulations on receiving an Agatha nomination for Book One of your Lobster Shack series, Curses, Boiled Again. Thank you! Curses was nominated in the Best First Novel category. It’s such an honor. I’m still stunned! Lobzilla is the second largest lobster caught. What were the dimensions of the largest caught? According to the Maine Department of Marine Resources, the record for the largest lobster goes to one caught off the coast of Nova Scotia in 1977. It weighed 44 pounds, 6 ounces and was just over three feet long. It was estimated to be 100 years old. Aunt Gully uses the phrase, “God bless America.” Is this the northern version of “bless your heart?” I had a good friend from California whose mom used to say “God Bless America” in situations where others might swear. It seemed like a perfect catchphrase for Aunt Gully when she had to let off steam. 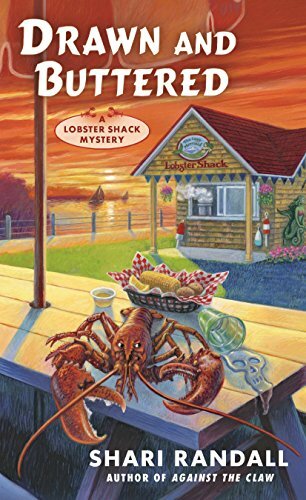 Why doesn’t Hilda wear the Lobster Shack’s uniform like everyone else? 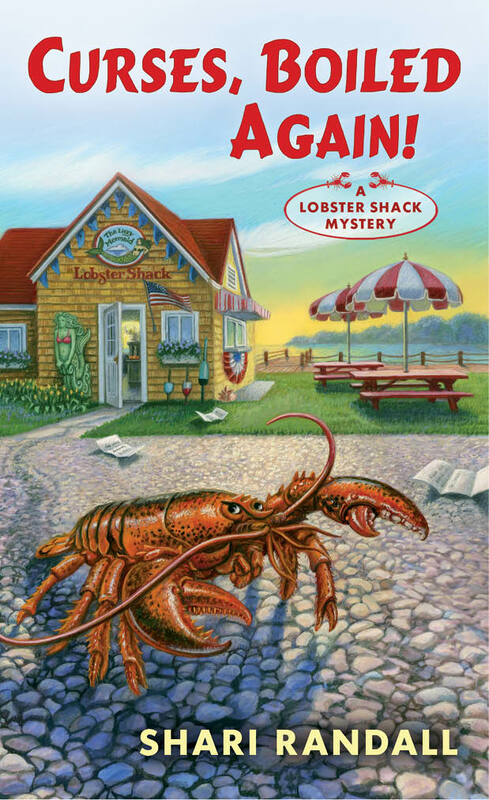 Hilda may work in a lobster shack, but the uniform - a pink t-shirt with strategically placed clamshells - is not her style. She’s an elegant woman who could go through a tornado and emerge with her lipstick fresh and not a hair out of place. Two people want something from Aunt Gully. One, she doesn’t want to do. The other, she doesn’t want to give. How does she handle them? People don’t realize that underneath Aunt Gully’s sunny personality there’s an iron will. She’s not a pushover! Those characters who are trying to get something from Aunt Gully discover a shrewd negotiator behind that sweet smile. What is the attraction for some people to join fraternities and sororities? I know several people who had wonderful experiences and made lifelong friends in their sororities. Some of these societies have long histories of charitable work. However, the news has been full of stories of the dark sides of these organizations, especially in terms of hazing new members. I wanted to explore that darker side, when young adults are put under tremendous pressure to conform in order to fit in with their peers. All-business Lorel likes steamy romance novels? We all have our guilty pleasures! Aunt Gully isn’t all that upset when her house is broken into, but when she discovers they stole her oatmeal raisin cookies, she gets mad. Why are the cookies more important to her than her house? This situation actually happened to my 91-year-old great aunt Flo. 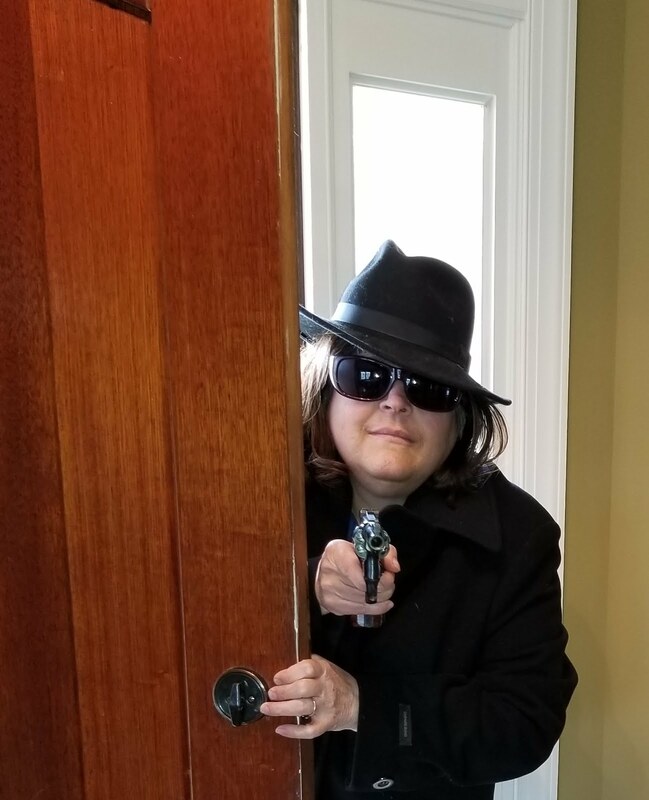 Her house was burglarized and the thing that angered her most was that the thief stole every one of the three dozen biscotti she’d spent all morning baking! 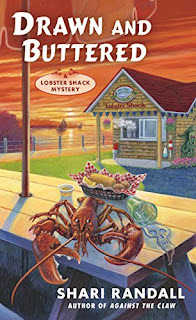 Similarly, Aunt Gully was relieved that no one was hurt and the destruction was confined to one room, but she really wanted a cookie after a long day at the lobster shack. What is Noank chowder? What is the significance of the name? Noank is a small village in southeastern Connecticut right on Long Island Sound. One hundred years ago, it was the center of the American lobster industry. Over many years the ocean’s temperature and conditions have changed, with lobsters preferring the colder waters further north off of Maine and Canada. People are probably familiar with New England clam chowder, made with milk or cream. Noank chowder is clear with no milk or cream to mask the flavor of the clams. It’s a much brinier, earthier taste that the old timers at the Lazy Mermaid prefer. The Parish family founded Allie’s hometown of Mystic Bay. Why is the current patriarch of the family named Royal? In my research, I discovered that in the colonial era, British subjects were given land grants to property in the American colonies in payment for services rendered to the Crown - land that was occupied by native people. Royal’s family was given their land in the 1700s and prospered ever since. His family was proud of their history and definitely proud of this distant royal connection, thus his name. Royal is obsessed with his family’s history and honor. But he’s a successful lawyer, has a nice family, great estate, in short, a nice life. Why is he so obsessed with the past? Royal’s family was so important and influential. He’s the only son of his family and carries the family name. He grew up in a house full of portraits of his forbears, literally looking down on him. It might be more accurate to say that he cannot escape his family’s past. What’s a marlinspike? A marlinspike is a sailing tool, used when working with line (ropes to landlubbers) – it can help untangle or splice them together. What are Russian Blues, and why are they so expensive? My favorite breed of cat! Allie’s dance teacher, Madame Svetlana Monachova, is an elegant woman of Russian descent, and I wanted her two cats, Raisa and Rudi, to be as elegant as she is. These cats are also known as Archangel Blues, because it’s thought that they originated from the Archangel Isles in northern Russia. They’re known for their incredibly plush silvery, almost blue, fur and emerald green eyes. The Russian Blue is a descendant of the cats of the Russian czars and was a favored pet of Queen Victoria. Is using white pepper a New England thing? When making clam chowder with a creamy base, some cooks don’t like the look of black pepper floating on top. 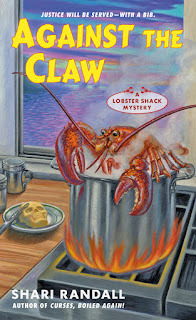 I’ve included a recipe in the book so people can try Aunt Gully’s secret recipe for chowder. What’s a shower slide? They’re like flip flops, only sturdier and with a band across the instep instead of a thong between the toes, and can be worn in the shower to protect against picking up athletes foot (gross, I know). They’re also known as soccer slides. Allie comes across several very unpleasant slides when she’s sleuthing in a frat house. I’m old. What’s plagiarism software? Brave new world! Some schools use software that will flag research papers that copy too heavily from other sources. Allie learns that history is written by the victors. What does that mean? This is why conquering armies burn museums and libraries. Those who survive are the ones who tell the stories and write the history, usually to make themselves look good. This concept comes up when a student talks to Allie about the history of Mystic Bay and the Parish family’s role in it. Do you think people have auras, which some people can see? I believe that there are people who can sense things that others cannot and that there are many things we don’t have a scientific explanation for – yet. What the heck is with hostile Gladys? Gladys, despite her nickname “Gladdie,” is one of those people who make me think of the old saying “Most folks are about as happy as they make up their minds to be.” She thinks life and love are zero sum games. She’s got her hooks into her boyfriend and she is NOT going to lose him to someone else. Isobel Parish, Royal’s daughter, is a complex character. I found myself being sympathetic to her. She seems like a spoiled, rich girl. Why am I sympathetic? Isobel Parish, the only child of the wealthy Parish family, surprised me at every turn. Writing her was so much fun – I’ve never had a character call the shots like Isobel. A reader asked me if Isobel is a “bad guy,” but she resists any easy labels. Readers can decide for themselves. The doctor tells Allie that she’s ready to dance but not “on pointe.” But Madame, Allie’s first dance instructor and her mentor, and Allie disagree with the doctor. Why? How can she go against the advice of the doctor? Madame Monachova has been working with dancers for years. I think of her as a horse trainer – she knows what Allie is capable of and Allie trusts her completely. Allie’s doctor knows her as a patient, but Madame understands her as an artist. What’s next for Shari Randall? Right now I’m working on a Christmas novella about the gang at the Lazy Mermaid. I’ve also started on another project – sorry I can’t say more. Writers Who Kill will be the first to know, so stay tuned. Since October 2012, I’ve been very proud to be a member of Writers Who Kill. Through the association, I’ve learned so much and had so many opportunities. I’ve benefited from the information in the interviews by E.B. Davis, Shari Randall, and Grace Topping, as well as getting to conduct a few myself. Also, reading the guest messages has introduced me to many new-to-me authors. Most recently, after reading Jane Isenberg’s post, I purchased and read her The Bones and the Book, a fascinating story that takes place in the 1880s and the 1960s. In addition, I found out the book was published by Oconee Spirit Press LLC, which includes among its authors my favorites Carolyn Hart, Margaret Maron, and Sharyn McCrumb. What a terrific discovery! In honor of Valentines’ month, I’d like to celebrate each of the folks who are part of this WWK partnership. Gloria Alden is an incredible role model. Her continuing sense of curiosity and wonder as well as her drive for personal achievement are qualities I hope I can emulate. She cherishes her family and involves them in her publications. I love reading about her animals, book clubs, and adventures. Warren Bull has some amazing experiences. He’s a Lincoln scholar. He writes wonderful short stories. He travels. I’ve been reading with interest how he has learned to present songs. What an incredibly diverse life! Thanks for sharing it with us. Kait Carson lives in Florida and writes about resiliency. As her website points out, palm trees can withstand the storm, but are forever changed and bear the scars. 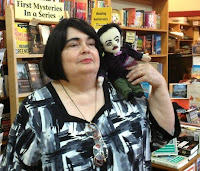 She writes the Hayden Kent and Catherine Swope mysteries. Her work is fast paced and suspenseful. Carla Damron and I live in the same city, now closer since she’s moved to the Northeast side of town. We’ve been members of the Inkplots, a local writing group, for more years than I can remember. Her The Stone Necklace, published by Pat Conroy’s imprint for the University of South Carolina Press, was selected for a citywide read. Seeing her grow in talent and accomplishment is so fantastic. Annette Dashofy and I met through an online class taught by Susan McBride. Now, I watch with pride as her Zoe Chambers novels are nominated for Agathas! I love that she brings her own experiences to her writing. In particular, I really enjoyed her message about meeting Robert Fuller, whose roles I remember fondly. Recently, she posted the dress she selected for the Agatha banquet. Annette, you’ll rock the room! E.B. Davis invited me to join WWK. I’ll always be grateful that she saw something worthy in me, at the time, just another member of the online Sisters in Crime Guppy Chapter’s short story critique group with very few publications to my credit. Elaine encouraged me to run for the Guppy board, a fabulous experience. She continues to organize the Guppy online classes. And, she writes great paranormal mystery short stories. 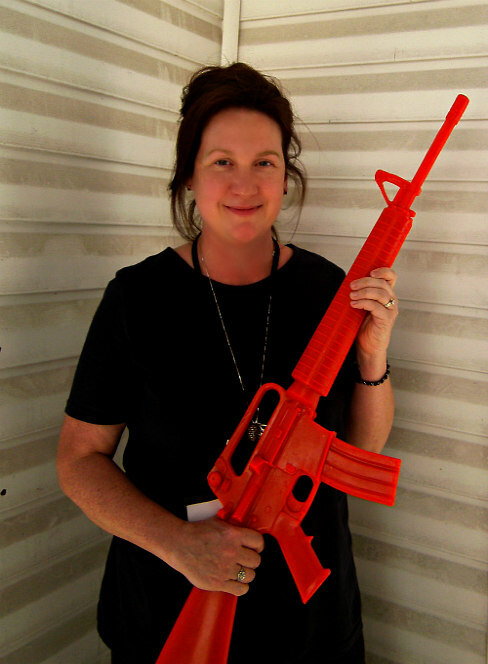 Nancy Eady, one of our newer members, is a fellow lawyer and Guppy. I loved her recent post about taking a photo for the blog. So glad that you have joined us, Nancy. I’d like to grow up to be Debra Goldstein. From her Agatha nominated short story to her new Sarah Blair series to her serving as President of both the Guppies and Southeast Mystery Writers of America, she is a force with whom to be reckoned. I love it that she’s a fellow theatre geek and will slip away with me from a conference to attend a Garth Brooks’ concert. More adventures to be planned in the future. 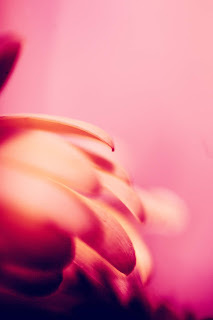 Margaret S. Hamilton takes the most gorgeous floral photos and we share a love of New Orleans. She writes fabulous shorts and is involved in so many wonderful organizations. Margaret, I admire your devotion to family and to travel. Please, let me continue to live vicariously through your photographs. James M. Jackson spoke with the Palmetto Chapter of Sisters in Crime on Saturday to tell us about how to put together an anthology. It was a superb presentation, and he knows whereof he speaks, having put together Lowcountry Crime: Four Novellas, featuring work by himself, Jonathan M. Bryant, Polly Iyer, and Tina Whittle, whose story “Trouble Like a Freight Train Coming” was shortlisted for a Derringer. Jim is a great friend and wonderful son. I’ll bet his Mom doesn’t call him James Montgomery Jackson too often. 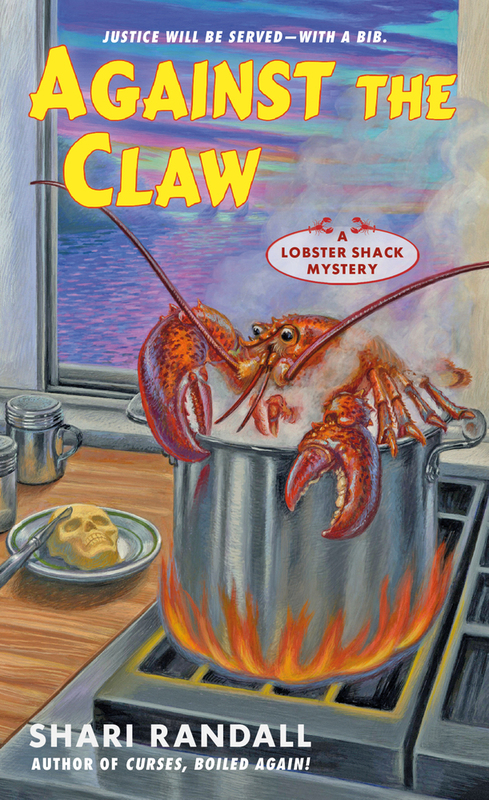 Shari Randall writes wonderful short stories and this year her debut novel Curses, Boiled Again! has been nominated for an Agatha! Shari has so many interests that she brings to her writing. I’m so excited that after years of serving as a librarian, she now has taken on the role as Library Liaison for National Sisters in Crime. And, from our meals shared in Bethesda and Raleigh, I can assure you she’s a great partner for sharing tea and sweets! K.M. Rockwood writes with such depth and compassion about people reinventing themselves. Her Jesse Damon series is riveting, tracing a former inmate’s struggles to return to the world outside, and her short stories follow other characters taking back their lives after facing severe setbacks. She makes you believe in redemption. Linda Rodriguez writes fictional characters that live on the page and in the minds of readers. Through her poetry, novels, and short stories, she evokes such incredible images. And, she has condensed how she does it into a book and courses to teach writing to others. She’s extraordinary. Grace Topping is so delightful. I’m always excited to read her interviews. Her debut novel, Staging is Murder, the first in a series featuring Laura Bishop, a house stager, will be available at the end of April and all of us will be celebrating with her! Much success, Grace! 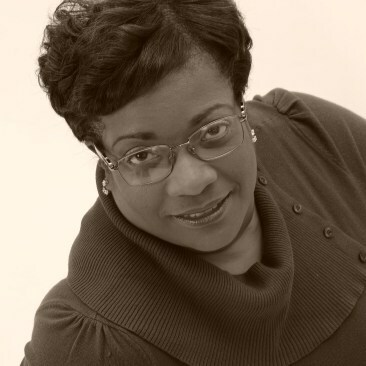 Tina Whittle writes the Tai Randolph/Trey Seavers’ series. 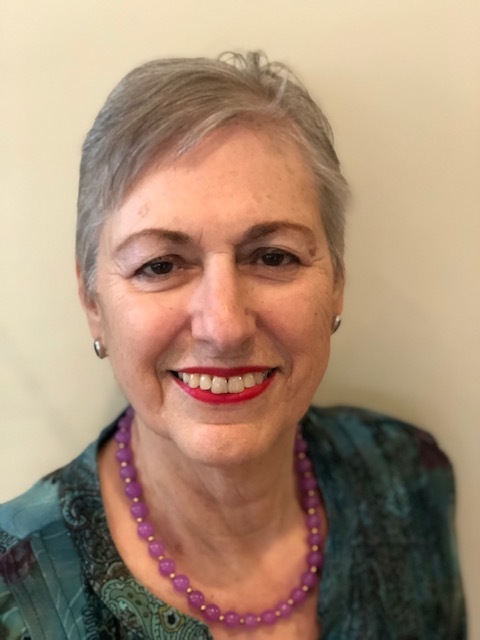 She is an accomplished short story author and, like Debra Goldstein, serves on local and national mystery organization boards. 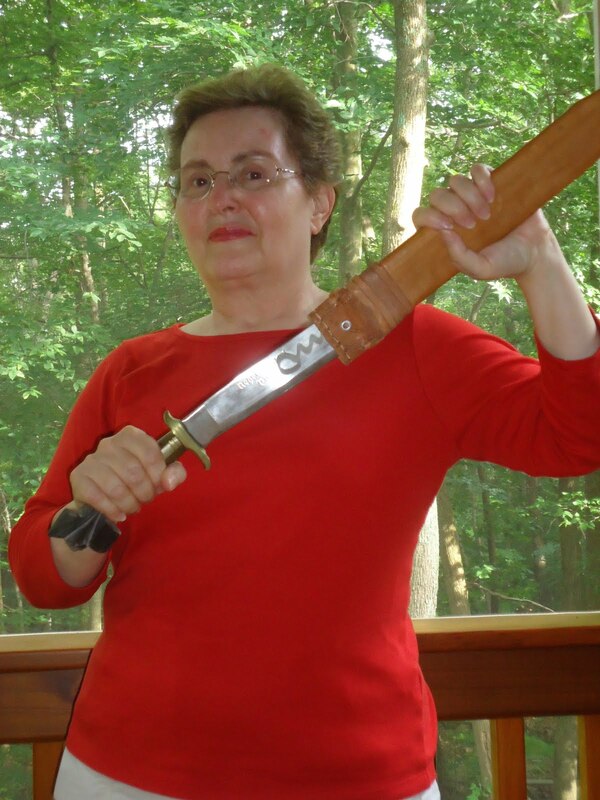 In addition to writing, her enthusiasms include boxing, sushi, tarot cards, and her family. Many thanks to you all for your messages and for allowing me to be a part of this WWK endeavor. Best wishes to you, now and always.